It comes as no surprise that human rights NGOs and those aligned with the International Criminal Court are advocating that Arab Spring states join the ICC. After all, justice and human rights have been central to the uprisings that sprang up last year. One Arab Spring state, Tunisia, already acceded to the Court last June. But just because the Court is not on the NTC’s mind, does not mean that the CICC shouldn’t press on with its aim to put it in the minds of the NTC to sign the Statute. That isn’t the problem. 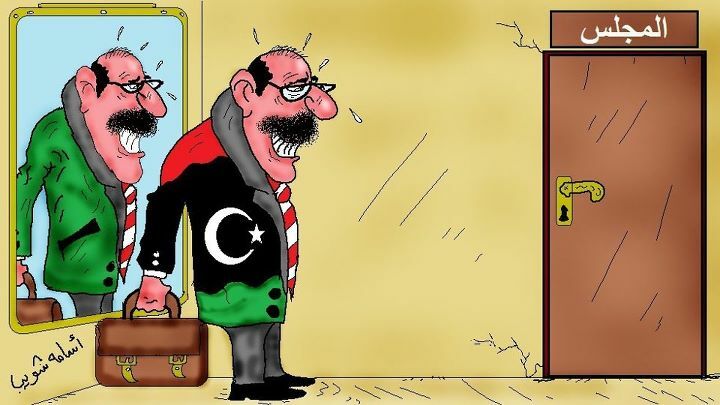 The problem is that demanding that the NTC, an unelected body trying to hold the country together, sign the Rome Statute risks making Libya’s accession to the Court undemocratic. 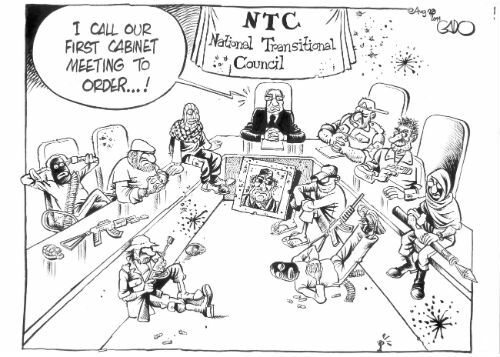 This is not an attack on the integrity of the NTC or its members. It is expected and legitimate that an unelected transitional authority guides a country from authoritarian rule to democracy, no less after forty years of despotism. Undoubtedly, many of the NTC’s members are doing everything they can to keep the country stable, unified and peaceful despite fragile and precarious circumstances. That being said, it should be noted that some NTC members have come under sustained attack from citizens for their past allegiances to the Gaddafi regime. Angry at the perceived lack of transparency in the NTC, protesters earlier this year forced the resignation of NTC deputy chief, Abdel Hafiz Ghoga. As of right now, the NTC’s plan remains to have a general election six months after a Constitution is drafted and approved. It is unclear when that will happen but a general election is supposed to elect a Public National Conference, which will be responsible for drafting a Constitution by June 2012. While it would be a victory for international criminal justice if Libya became a member of the ICC, it would be a shame if its accession was done without democratic legitimacy. Only once Libya has succeeded in electing a legislature which reflects the diversity of its political landscape should it decide to sign the Rome Statute. Accession to the ICC by a democratic parliament, made up of elected representatives of Libya’s tribal regions and burgeoning political parties, would lend the accession much more legitimacy. Importantly, when it comes to the ICC’s role, or potential role, in Libya, there is no need to rush. Even if Libya does not sign the Rome Statute, the ICC can continue to investigate. With Resolution 1970, the country remains under the jurisdiction of the ICC indefinitely as there is no temporal jurisdictional limit that constrains the ICC from investigating crimes committed either during the uprising, now or in the future, so long as Libyan authorities demonstrate an inability or unwillingness to do it themselves. In short, for all intents and purposes, the ICC can consider Libya akin to a member state. Advocates of the ICC, and human rights more broadly, often claim that international criminal justice and democracy are mutually reinforcing. But they shouldn’t pick and choose when to take that link seriously. Libya should become a member of the ICC. But it shouldn’t happen just yet. This entry was posted in International Criminal Court (ICC), Libya, Libya and the ICC. Bookmark the permalink. Mark – I think you’ve nailed it, like many other comments on issues. The big question is not ‘if” but rather when. And “when” is a very worthwhile consideration, one which merits someone writing an entire paper – or book – about the transition in societies such as Libya now or other places (Iraq comes to mind, also perhaps Kosovo). When does a country go from the previous arbitrary pattern of ‘rough justice’ and a mindset that might is right, and from essentially a tribal council state of affairs to something that resembles a more of a stable society, with a justice system based on due process (and without the influence of powerful tribal leaders or ancient codes)? Good question indeed. Will Libya become a place where, by and large, basic human rights are observed and where even former members of Gadafi’s government can expect to be treated somewhat humanely? Yes, they will, but it’s going to be slow, my friend. Only when that happens should they be joining the ICC. – I will close by illustrating with a rather gruesome but topical story. 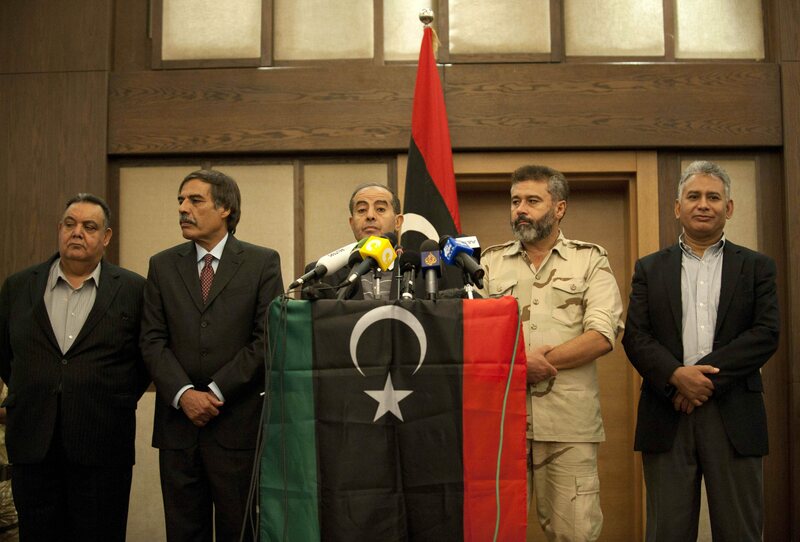 I follow the events in Libya closely because it is a living lab of human relations. Last week, there was a report in various papers about how a former diplomat, in fact a former Libyan ambassador to France, was seized by one of the militias and basically tortured and killed. When the fellow’s body was recovered, it was obvious he’d been beaten to death with a blunt object. Previously to that, someone had pulled out his toenails….a nasty bunch of people who perpetrate such acts. So, when Libya becomes the kind of place where former regime confidants can expect to maybe face a trial and maybe even go to jail – but where they are safe from such physical brutality – then let’s talk ICC. Because right now, it’s all about revenge over there and it is very, very savage. When can we expect to see an ICC indictment against Sarkozy and Cameron for being the enabling agents of torture, executions etc. Mango – exactly what I’ve been expecting and worrying about. There is a wave of revenge and some appalling acts are being committed all over Libya, and if one were to dig a bit deeper around North Africa, we’d find that the human rights situation continues to be bad in Egypt and elsewhere. Essentially, I consider the ‘Arab spring’ to be a stillborn revolution (with the possible exception of Tunisia where things seem to be improving). Iraq wasn’t that different, when you consider it. Never a big fan of these medeival, paternalistic societies…seems like another century is needed before they will cease looking for a strongman and start governing themselves in a more, let’s say democratic manner. – I do “get” the anger in these situations, that’s a human emotion which should not be denied, but conducting oneself based on anger and retribution alone is a dead-end street. My own life experiences are somewhat coloured by coming out of the communist-controlled Eastern Europe where every one of those regimes had been known to commit some level of human rights abuses, maybe not as severe as we see in the Arab world, but certainly quite heavy-handed at times and very effective at suppressing people. After 1989, there wasn’t a whole lot of ‘revenge’ in Poland, Czechoslovakia, Hungary and so on. Not even in Romania where the human rights abuses had been dire. Some of the former jail guards and special ‘secret’ policemen did face some form of justice and were dealt prison terms but mostly not much happened. As a whole, the public wasn’t braying for blood – which they could have easily done. There are issues and weaknesses inherent in this position, as well, namely that some of the victims of fmr communist persecutions never truly saw restitution. Almost certainly:’ I would stcaeryainly not • long-term civil war• NATO troops on the ground and/or UN occupation• loss of virtually all women’s rights to Islamic fundamentalism• massive drop in literacy levels• return to pre-Gaddafi poverty levels (4th poorest per capita nation on earth in 1969), with a corresponding rise of a small super-rich class• full elimination of Libya’s long-term free education, health care and subsidised housing• neo-liberal restructuring programs to sell off all the nation’s resources and assets to foreign interests’But I agree that a bourgeois democracy will be established as the next step forward for the Libyan people so therefore your next point is true but you forget that it will at least be an improvement on the Australian system as it will be PR. • establishment of Western representative electoral process that favors only rich, pro-Western candidates’Moving beyond bourgeois democracy is not achieved by denouncing democracy as a bourgeois fraud as that is the position of the fascists like our now departed Libyan tyrant. Bourgeois democracy is a fraud, true enough, and the world is spinning into a capitalist crisis so the way forward is not clear anywhere. But if the bourgeois solutions are unworkable then proletarian forces will have to make some more revolution and establish same new law not retreat from this pathetic level of democracy. You have in this comment shown what the pseudo left is all about. What now for Libya?Definitely:•massive PTSD and depression ascros the entire population (that will remain untreated and fester)•lots and lots and lots of crippled people•long-term starvation and malnutrition•widespread homelessness•large roaming street gangs, particularly of homeless children•soaring crime rate•major refugee exodus, with most ending up lingering in camp limbo•once-beautiful cities in ruins with no money to fix them (must pay NATO and IMF first)•desperate people trying to survive in uninhabitable and dangerous conditions•too many reprisal killings to bother counting•massive political repressionAlmost certainly:•long-term civil war•NATO trooops on the ground and/or UN occupation•loss of virtually all women’s rights to Islamic fundamentalism•massive drop in literacy levels•return to pre-Gaddafi poverty levels (4th poorest per capita nation on earth in 1969), with a corresponding rise of a small super-rich class•full elimination of Libya’s long-term free education, health care and subsidised housing•neo-liberal restructuring programs to sell off all the nation’s resources and assets to foreign interests•establishment of Western representative electoral process that favours ony rich, pro-Western candidates•(unlike Iraq and Afghanistan) ongoing indifference from ignorant Western progressives and anti-war types, who will remain totally clueless on how spectacularly they’ve been suckered into believing we were ridding the world of a tyrant. Why doesn’t the CICC first persuade the champion of democracy and human rights, the U.S. of A. before trying to coerce smaller countries that are just out of war to join it?. Besides, we Muslims do not need the ICC or human rights organizations to tell us about justice and human rights. We have the Guidance from God (Allaah) Almighty, which details the True Justice of Almighty Allaah and the rights of all His creation, in His Final Revelation to humanity, Al-Qur’aan and the Sunnah of His Last Messenger. This includes, but not limited to, the rights of all humans, the rights of the parents, the rights of the neighbors, the rights of the husband, the rights of the wife, the rights of the people of the Book (Christians and Jews), the rights of animals, etc.). The fact that the Muslim World is ruled by tyrant dictators, installed and supported by the hypocritical West, who do not allow the application of Al-Qur’aan and the Sunnah does not mean Muslims are lacking or need others to teach them justice and human rights!. The CICC and Western human rights organizations only target Muslim and other small countries in Africa and Asia while neglecting the atrocities, war crimes and brutal abuse of human rights committed by the Zionist entity in Palestine and by Ethiopian, Ugandan and Kenyan troops in Somalia. Moreover, the CICC and human rights groups have plenty of work to do in the U.S., the greatest abuser of human rights in Guantanamo, Iraq, Afghanistan, Pakistan ,Yemen and within the U.S. itself where Muslims placed under constant surveillance even in places of worship and are subjected to discrimination, FBI entrapment, detention, brutal interrogation, and most severe prison sentences including multiple life sentences and solitary confinement. Muslims are also frequently removed from flights and place on no-fly lists!.